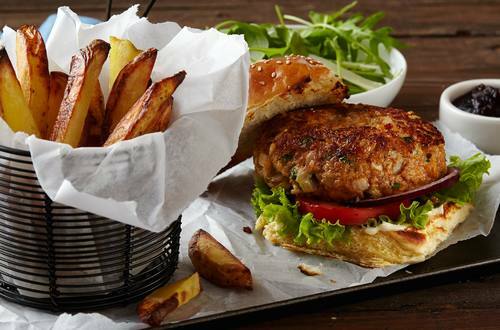 A super-tasty turkey burger recipe with ground turkey, mustard, paprika and chorizo sausage all bound together with great-tasting Hellmann's® or Best Foods® Real Mayonnaise. 1 Combine all ingredients in medium bowl; shape into 4 patties. Grill, broil or pan-fry until done. Serve, if desired, on hamburger or brioche buns with additional Hellmann's® or Best Foods® Real Mayonnaise, cranberry sauce or your favorite toppings.